There's nothing better than decorating your tree and getting excited about Christmas. 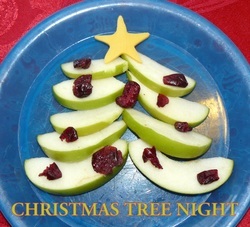 Take a night to enjoy all things tree. There are several options in this one night so pick-and-choose what ones you like. 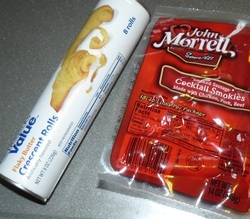 Roll out crescent dough and seal perforations. Cut into long strips. Take one strip of dough and wrap around sausage until it looks like a tree. 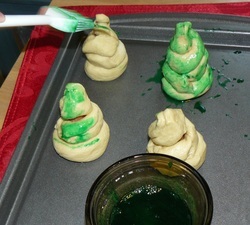 Place egg white in small bowl and add food coloring. Slice apples into thin slices. Cut cheese with small star cookie cutter. Layer apple slices on plate and top with cheese star. Decorate with grapes, cranberries or fruit of choice. 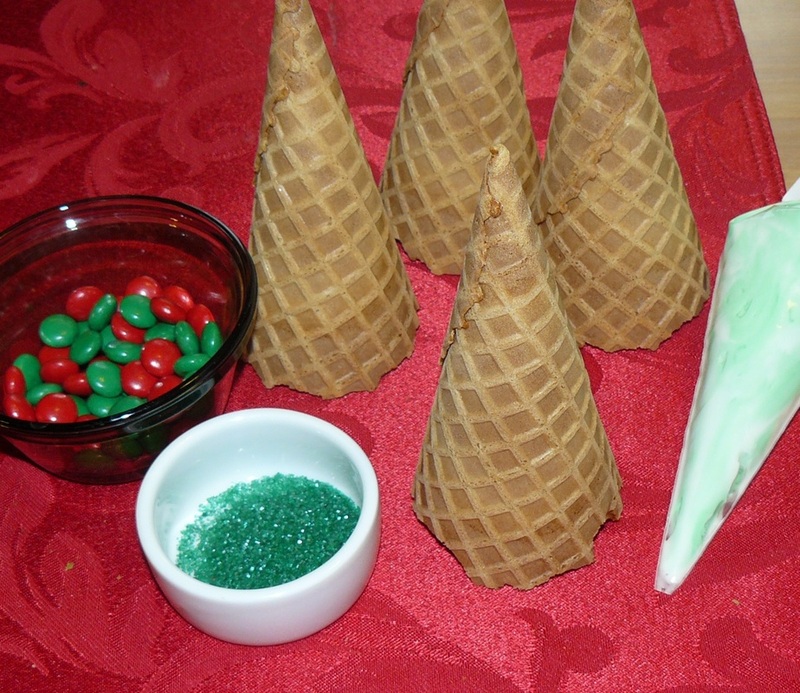 Using waffle cones or sugar cones, decorate with icing and candy of choice to look like a Christmas tree. Make rice crispy treats according to your favorite directions. You can dye the marshmallow green before adding the cereal. Press into pan and let cool for 1 hour. 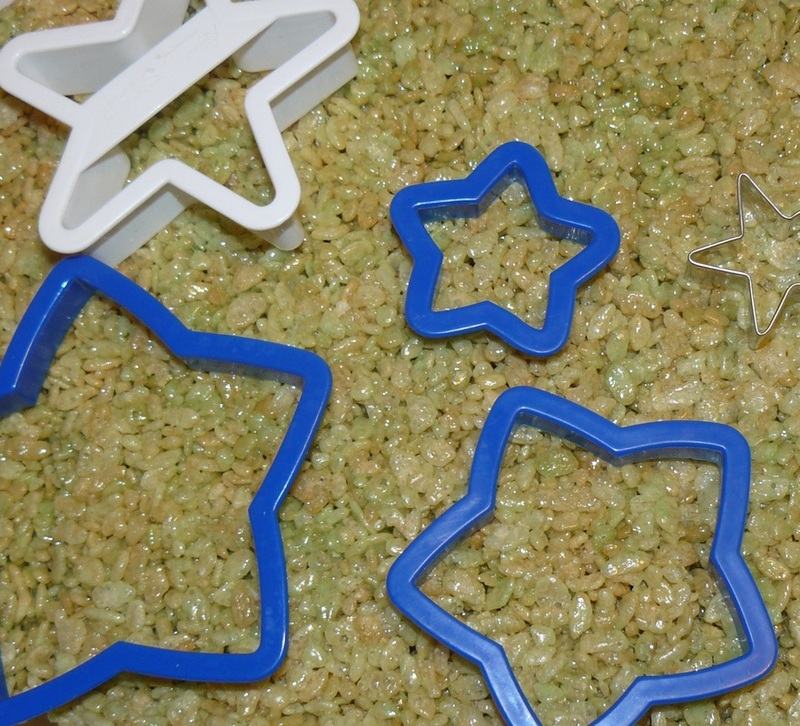 Using different size star cookie cutters, Cut out various sizes. Using paper sleeve from waffle cone, glue green, red and yellow tissue paper to cone to resemble a Christmas tree. 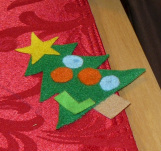 Cut tree shape from green felt. Cut star shape from yellow felt. 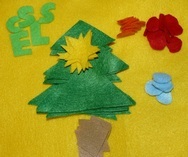 Cut circle ornaments from various felt colors. Cut rectangle from brown felt for trunk. (If your kids are old enough, let them cut these out themselves) Glue shapes together for a felt ornament to hang on your tree. This was a great activity to get Dad involved. Spend time making ornaments from inexpensive foil, paper, tape or anything else you choose. 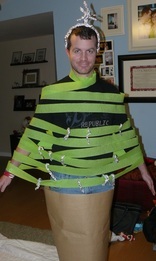 Wrap Dad or Mom with green crepe paper making sure their arms are away from their side. Wrap as much as you desire. Once finished, hang ornaments on the‘tree’. Be sure to take a picture!